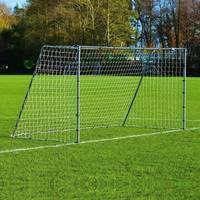 24ft x 8ft FORZA Alu110 Freestanding Football Goal. Regulation full size matchday goal. Made from 110mm aluminium with a premium 5mm HDPE goal net. Optional wheels and weights. 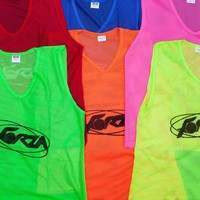 Need another size? 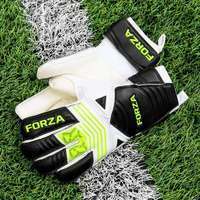 View our full range of FORZA Alu110 football goals here. For quick and easy transportation, the optional heavy duty lever type wheels are game-changer. Powered by a CAM mechanism which raises the goal up to 100mm off the ground, the wheels do all the lifting. To avoid sinking into muddy grounds, the wheels have a deep diamond tread. Optional internal counterbalance weights can be included for enhanced health and safety measures. The premium goal weights guarantee stability and rigidity, shaped perfectly for insertion into the goal frame. Sand, water, stone or metal can all be used when filling up the internal goal weights. The heavy duty 110mm goal frame is built to last, with the requisite durability and toughness to handle all impacts. Conversely, the posts are deceptively light in weight, providing the option for manual lifting. The freestanding goal frame is fit for purpose on all surfaces, both indoors and outdoors. 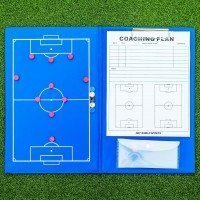 When looking for the best matchday football goal on the market, look no further than this regulation full size 24 x 8 aluminium football goal. 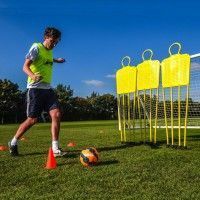 Embodying premium manufacturing to provide professional performance, while maintaining a freestanding design which doesn’t require permanent fixing, the versatile matchday football goal can be used on multiple surfaces, as well as during coaching sessions for seniors. 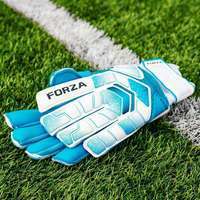 With FORZA Alu110 goals making their mark as the football goal of choice for Premier League clubs, you can raise your squads standards on the pitch without breaking the bank. 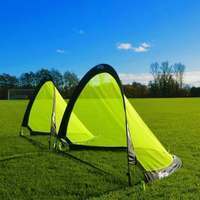 Designed to the highest specifications, the full size matchday football goal has been built to last the course of multiple seasons. 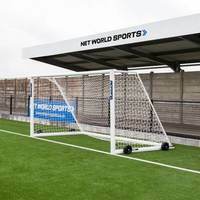 The 110mm reinforced aluminium goal posts can handle thunderous collisions with the ball, while the powder coated finish provides ultimate protection against the elements. 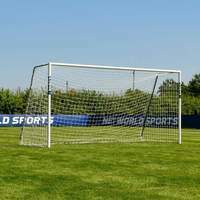 A professional standard goal without the need for rooting into position, the long-lasting football goal is suitable for use on all surfaces as well as indoor pitches. 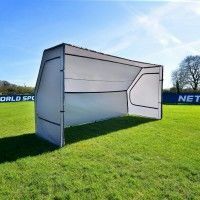 The heavy duty nature of the frame is belied by its light in weight touch, allowing it to be transported between playing surfaces, perfect for clubs and coaches who require a premium quality portable football goal. 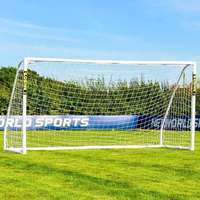 Completing the full size 24 x 8 football goal package is a state-of-the-art 5mm UV treated goal net. The HDPE twine net has toughness to match that of the posts, with the capacity to handle regular matches during all weather conditions. Resistant to rot and frayed edges, the durable goal net will look as good as new no matter how many full force shots are sent crashing into it. With twist and lock net clips included, attaching the goal net for ultimate tautness is a breeze. 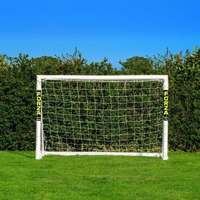 Give each matchday the big match feel with this premium quality full size 24 x 8 football goal. To truly make the most out of the 24 x 8 freestanding football goal, there are two optional extras to choose from. For enhanced mobility, the high-quality lever type goal wheels are on offer, providing simple movement on all surfaces. Including a revolutionary CAM mechanism which lifts the goal up to a mind-blowing 100mm off the ground, there’s no need to waste your energy on manual lifting, as the convenient goal wheels do the work for you. The enhanced width of the wheels is met with a deep diamond tread, which stops the wheels from sinking into soft muddy and wet ground. 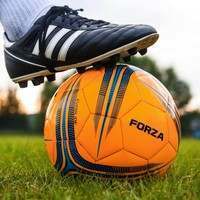 While the freestanding football goal is self-weighted and stable, further measures can be undertaken with the addition of internal counterbalance weights to your goal. The specially moulded, UV stable weights fit perfectly to the bottom goal frame, slotting into position with ease to prevent unwarranted movement following collisions with the ball. The weights can be filled with water, sand, stone or metal to perform at their peak. 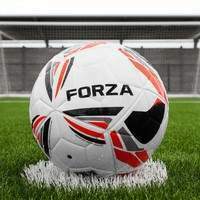 All of the game-changing goals included in the FORZA Alu110 Freestanding Football Goal range aims to provide optimal quality without being weighed down by a hefty price tag. Earning the professional seal of approval, all Alu110 goals conform to worldwide match regulations set by the FA, MLS, A-League, UEFA and FIFA. Similarly, they have all passed independent testing to BS EN 748/8462 safety standards - To view the video of the testing process please click here. If you wish to download a copy of the safety certificate, please click here. 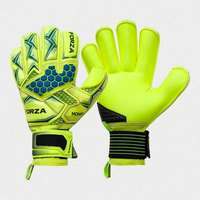 The revolutionary FORZA Alu110 range has been expertly manufactured with strength, power and precision in mind. 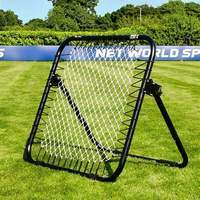 In the US High School Soccer, they will not allow the sticker on the front of the goal, can the goal be purchased with out them on the front of the goal? Hi Brian, Thank you for the question. 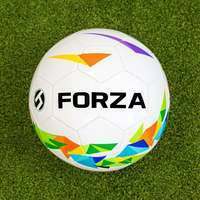 You could take the FORZA logo off the goal as this is only a sticker so can be easily removed however this will remove the goal Warranty from the product. I hope this information is useful. Many thanks, Ryan. 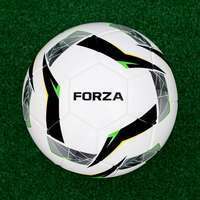 Does the Forza ALU110 meet NFHS, NCAA, and FIFA specifications? what does a single or double goal mean? Hello, thank you very much for the enquiry. A single goal would just be for one goal and a double/pair would be for two.